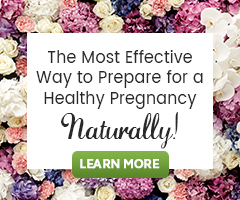 Fertility herbs are an amazing option for couples who are trying to prepare for pregnancy and increase their reproductive health, but they work very differently from fertility drugs. Fertility drugs are very potent and are known to create some wacky side-effects. They are taken for a short period of time to elicit a specific response from the body. For example, Clomid is a common fertility drug which is taken for 5 days, or so, to make the body ovulate. Many women have said Clomid was one of the most intense medications they have ever taken, causing them to be extremely emotional. Alternatively, Vitex is an herb we would use for supporting ovulation in the body. Vitex works by supporting the endocrine system. The endocrine system governs the cascade of hormonal messages which would eventually cause the body to ovulate once everything is balanced and healthy. There are no reported side-effects from using Vitex. In short, drugs elicit a specific response and herbs support the health of the body or an organ system so the body is able to function as it was designed to. They both have their place, but they work very differently. When you are using fertility herbs to prepare for pregnancy, or to help balance the body, you may be taking the herbs every day for months so there will be an investment involved. While there is some expense and investment that will need to be made; using herbs and natural therapies are actually a great savings when compared to many fertility drugs and treatments. During a round of IVF one can expect to spend $5,000 – $8,000 on medications alone. This one is actually true for some herbs. Every herb has its own flavor and many are not flavors that we are accustomed to. The flavor of the herb is actually part of the ‘medicine’ the herb is providing. If an herb is bitter, it is going to stimulate the gallbladder, if an herb is aromatic it is going to stimulate digestion. The flavor is part of the magic of the herb. If you find herbal extracts or teas hard to take because they have a strong taste, add some honey or take them with a chaser such as juice. Herbs work by helping to support different organs and systems of the body. By helping to support these areas the body is then better able to function as it was designed to. When it comes to fertility, we suggest that you stick to your chosen program for at least 3 months before you begin to look for results from that program. It takes time to get the body back to balance. Typically, the starting point where real changes in one’s health are noticed is around the 3-month mark. 3 months is the baseline for creating real change when it comes to hormonal issues or helping to regulate the menstrual/ovulation cycle. This is a big one. Fertility herbs and fertility medications should not be taken together. If you are going to be taking fertility medications, it is best to use herbs for preparation, before you begin your fertility medications. For example, if you are planning on going through a round of IVF, you would want to finish taking your herbs before you begin any of your IVF medications. Even the birth control pills that are common to take in preparation for your IVF cycle should not be combined with fertility herbs. It is a good idea to talk with your doctor about any herbs or supplements you are taking. I am recently taking vitex pure herb. Can I take my iron tablet as well because I have been diagnosed with an iron deficiency. Fertilica Vitex can be taken with an iron supplement. Learn how Low Iron Levels May Affect Your Fertility. It is great that you are working to support healthy iron levels.